universal cave unleash the 10th release in their catalogue with the universal cave wizards and dynamic duo superprince sharing the re-edit duties. universal cave provide the goods for the a side firing off a percussion heavy, latin flavoured bomb in lambada - just wait for those epic fills, sure to whip any crowd into raptures. 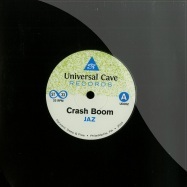 take your time (universal cave s 909 rubdown) then lays up a hip house vocal flavoured, 909 enhanced 80 s bomb. flip it over and superprince take the reigns with your kind of love - funked up disco goodness, reworked with an extra helping of devilshness. the last slice of gold, hang high takes the tempo down to a string swelling, souped up, cosmic swagger. two sides, two artists but four entrancing edits to add to the universal cave repertoire. 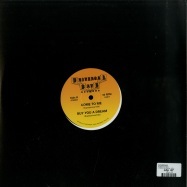 four floaty dubs & re-rubs from san francisco s ryan bishop aka the beat broker (bear funk, flexx, adult contemporary, etc). many heads probably best know ryan as the brains behind dream chimney, one of the longest-running and most consistently interesting online hangouts for like-minded music freaks. this 12- busts loose with -satin kimono,- a funky floor-filler with the most perfect aor song title in existence. 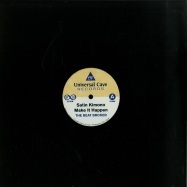 -make it happen- cools the a-side down with a mellow yet uplifting soft rock groover, dubby voices beckon the listener to break free and never look back. 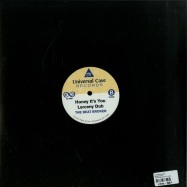 -honey it s you- is a pumped up edit of an old chimney classic and was crafted specifically as a wedding gift for fellow dream chimney member hatchback - now available for the first time in a physical format! larceny dub soars to new heights of aor bliss, featuring an extensive re-working of a record that was passed along to ryan by an ex-deadhead neighbor. uc005 is music for sideways times when down is up and up is down. golden round circus and i couldnt fool around no more are spiritual kin to michael wynn band s dark night and straight shooter s frame of mind.chugging, cosmic aor by heads for heads. 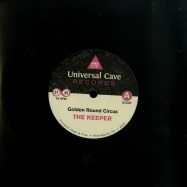 golden round circus elevates the mind with hypnotic synth and i couldn t fool around no more soars on open drum breaks, guitar solos and multitracked harmonies. nobody knows what s really going down with the mysterious viking known as the keeper. 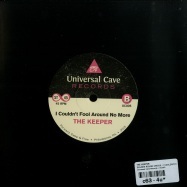 here s what we know: the keeper is swedish, has some previous work in nemas problemas on fasaan recordings, and an upcoming release on passport to paradise. while we ve been sworn to reveal no more information, the keeper is more than welcome to the universal cave family. sao paulos selvagem drop a masterful double sider for universal cave 004. tudo bem is sunny, soulful aor bliss. a tribute to a favourite brazilian musician and an update for contemporary rotation. luanda is hypnotic, psychedelic tropicalia. truly digging deep, selvagem give universal cave a taste of the forward deep & free sounds of balnearico from brazil. balnearico is the fusion of balearic and balneario, the portuguese word that is synonymous with beach. 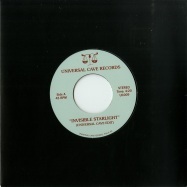 universal cave records 002 puts charlestons finest disco duo back to back on wax. they re regulars behind the decks and are prolific record diggers, collectors, and editors. 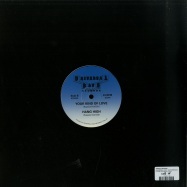 side a is hard-hitting vocoder disco from the ever foward, deep, and free disco minister jaz. party dad cools things down in pool party perfection with his dream dance edit. all chiller, no filler. essential autumnal balearic vibes. 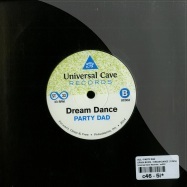 universal cave featuring edits of forward, deep & free music for maximum summertime spins. soft rock for hard times, slow grooves for mellow moods and chainsaw euro funk brought to you by disco duos d. lord & werner williams, jaz & party dad, and universal cave. pressed on limited 7 inch vinyl. 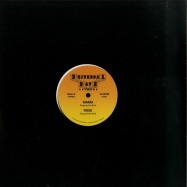 *around the bend* is soft rock for hard times brought to you by universal cave. bongos high in the mix, a breezy beginning builds towards guitar glistening over a mega kind groove. a tune fit for hang gliders, rock climbers, and summer sundays. sunsets and sailboats. slow grooves for mellow moods. side bs *riding* is flipside meets ripside, no nonsense shredding over a driving drum beat. long haired beardo disco rock that never quits.